This week has been a little rough for Rachel and I, all of our kids are away with their grandparents for a week. This is the first time either of us has had our kids gone for longer than a weekend. Lauren and Claire flew by themselves to California and spent time in LA withgrandparents and also took a side trip to San Diego to see Sea World and the Wild Animal Park. Mary and Molly went up to Grand Lake to spend the week with their Grandma in their cabin. While we enjoyed the time for working and leisure, we found that we all missed the kids more than anticipated. We are both not the "hovering" or "over-protective" mom types but we are involved with the kids and enjoy our family units. Well, my kids come home today and Mike and I are off to the airport to pick them up. Rachel and Jeremy still have a couple of days until their girls come home. Hopefully this will get easier for all of us as the years go by. While we had so much free time, Rachel and I were able to start our annual planning for the business. We have some great events planned for the Fall. 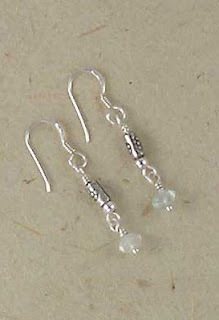 We have our new line of jewelry and we have classes and some other fun events as well. We'll fill you all in on our events soon. School starts in 3 weeks, so you should be hearing from us more then! Have you ever read a book and had a line stick with you? 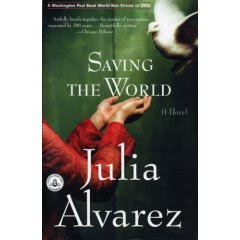 I am reading Saving the World, by Julia Alvarez. It is a wonderful story entwining stories of two women from different time periods in their personal journeys. What kernel of truth have you found in your summer reading? Summertime is crazy! It has been a whirlwind of art camps and trying to escape the heat. With four kids (combined) at our respective homes; Kerry and I have little time left for ourselves, much less our business. 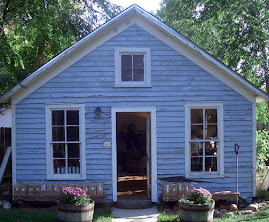 Summer perhaps should be our busy business time, but it is in fact, our busy family time. In spite of it all we have managed to keep our Amazon storefront and our Etsy storefront updated. Next month we will launch our participation in a fundraiser for the Ovarian Cancer Research Fund. A worthy cause, indeed. Stay tuned for our special jewerly that will help to raise money for research.